There are 2 primary methods to load custom tunes. Email transfer and Cloud Delivery. There are Email transfer and Cloud Wifi methods for loading your custom tunes. 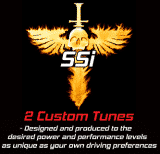 We hope this is a fast and easy page to explain how t0 load your custom tunes and assist you with any basic SCT & Bully Dog Loading Custom Tuning Support questions. Email Transfer Tune Loading – You can download an email tune sent to you and transfer it to a device with Device Updater Software. You can download the Device Updater software by visiting https://www.sctflash.com/. This pertains to all SCT Devices. 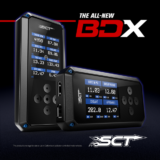 The only exception is the SCT ITSX which can go directly from your email with the SCT app from your phone to the device. Here is a simple video showing you how to download the Device Updater Software and How to Load a Custom Tune onto your device. Cloud Tune Delivery Tune Loading – The next method is to download your tunes from the cloud with a wifi connection. This is currently only available for the BDX and the GTX devices. A) – The very first thing you need to do is register your device with SCT or Bully Dog. When you register your device you are then able to receive Cloud tunes via wifi, notified to the device registered email address when a Cloud tune is uploaded and ready for you to download, and also makes it available for you to upload log file via the cloud to us as well. You simply go to either site and click on the person image in the upper right hand corner and the drop down “register device” will appear. B) After your device is registered you can load a Cloud tune from wifi. Simply go to device settings, check for updates, and sync with cloud. The tunes should be available to download to your device automatically from there. You may also load the tunes to your BDX or GT programmers with traditional email file tranfer as well. If you have and error stating that a tune file is for another device please call us as soon as possible so we can verify the serial number.